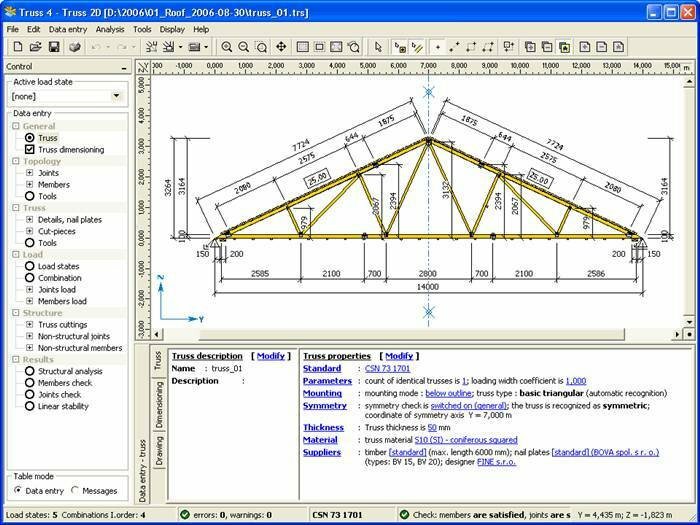 Software suite TRUSS4 is designed for analysis of timber truss structures connected with punched metal plate fasteners. TRUSS4 offers complete processing of a project from truss design and quotation to manufacturing documentation and automatically generated outputs for machinery equipment. The project was carried out with financial support of the Ministry of Industry and Trade of the Czech Republic. 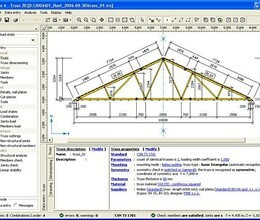 * TRUSS4 download link provides demo version of the software. Any body can help to me ? I don´t understand yet how to use. . . comment please. . . Very interesting, but from the demo d software seems to be limet. Your software sounds interesting to use, how do you rate yourself with Mitek 20/20 software and the ITS Software. Have you tried any markets in Southern Africa if so am interested to learn and help you get more market around that zone. I have used Mitek and ITS Software and am currently based in Botswana. My contact details are 00267 76102166 OR 00267 72686599 Please let me know if you are interested in spreading your wings wider as I have helped two three Companies in Botswana in setting out Truss Business. TRUSS4 has been rated 2.0 out of 5 points. A total of 45 votes cast and 4 users reviewed the software.